Have you ever driven past the Alexandra Battery in Sandy Bay and wondered what it was for? 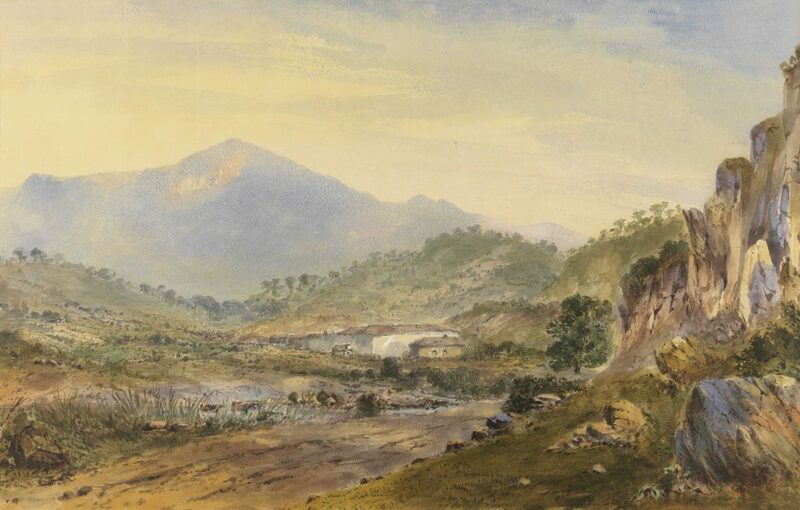 Have you ever heard rumours of a planned Russian invasion of Tasmania in the 19th century? As Anzac Day approaches, we’d like to share the story of the Southern Volunteer Artillery Regiment with you. Thanks to our new corps of online volunteers, we can now tell this amazing story in a new way, preserve it for future generations, and maybe even link it to your own family history. Intrigued? Want to get involved? Read on! Re boxing a series of old legal documents is not my idea of a fun few months. It usually involves simply pulling out the paper clips and pins that damage the old paper and re housing them into crisp white archival folders. However, whilst re boxing our intestate wills (documents related to people who have died without a will) I discovered three letters written by George Bramwell to his then wife in England. Still not overly exciting….until I realised George was a convict, and in amongst the polite greetings and formalities he mentions details of his life as a convict. This provides us with a different insight into Van Diemen’s Land than that of the privileged free settler or gentleman farmer. Hospital records are like the holy grail of archives. Because medical histories are so personal, they are carefully controlled. In the busy world of a hospital, not every slip of paper could be kept, particularly before computers. By the time 19th and early 20th century records reached the archives, many volumes had gone missing or been destroyed, and only intriguing clues have survived. Some of the surviving records from the General Hospital in Hobart are the hospital’s registers of deaths (HSD145, 1864-1884) and orders for coffins ‘required for pauper interments’ (HSD146, 1864-1876). These records have now been digitised and added to the Tasmanian Names Index, under the record type ‘deaths’.